As we get the hang of working with Solid State Drives that are much faster but tend to have less capacity than their mechanical counterparts, we can take advantage of a variety of supplemental storage options. Today I'm looking at the portable 1 TB hard drive. 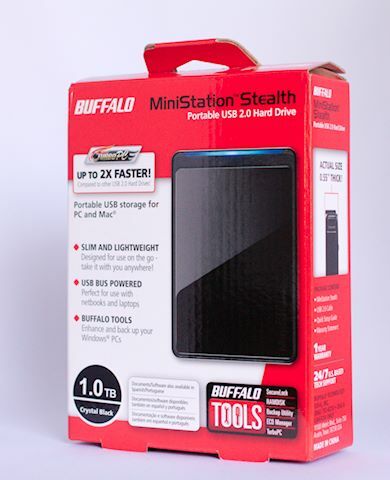 There are a variety of portable, high capacity drives available for around $100. Currently I'm testing the Buffalo Technology MiniStation Stealth 1 TB USB 2.0 Portable External Hard Drive that works great. If you want to pay more, you can get Thunderbolt or USB 3.0 versions also. But since this is primarily a backup drive that runs in the background, paying extra for more speed isn't necessary for me. The Buffalo drive, for example, is very light and about the size of a deck of cards. It uses a standard USB > Mini USB cord, which I like. The same cord can double for my other devices. And if I lose it, no problem. I have plenty laying around the house. First thing I do after plugging it in to the MacBook Pro is format the device. I launch Disk Utility, which is in the Utilities folder (Applications > Utilities > Disk Utily) and choose "Mac OS X Extended Journaled." 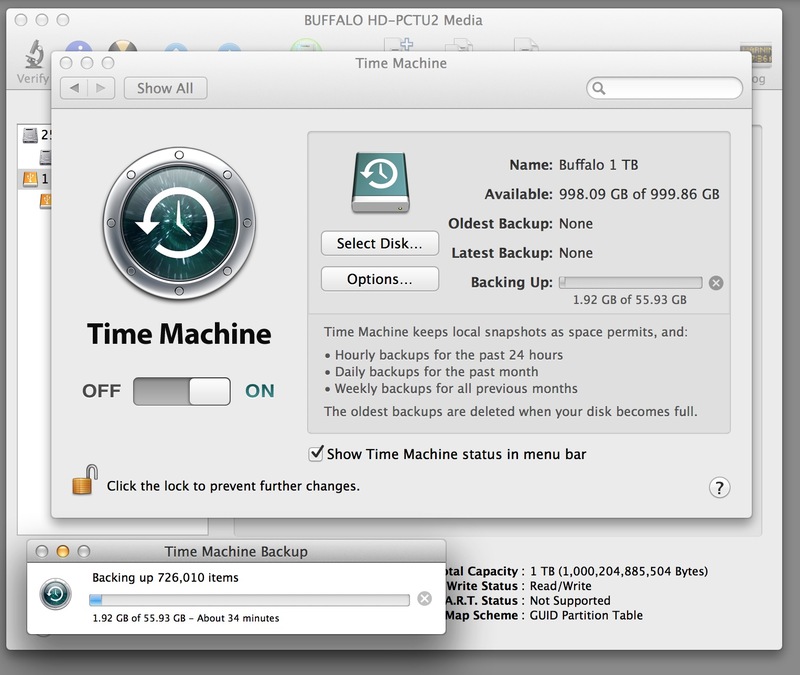 After completion, the Mac will ask if I want to establish this device as a Time Machine hard drive. I do! Then it will begin backing up the contents of my Solid State Drive. Time Machine works in the background. So you can go about you work without any interruption. Yet, you have the peace of mind that comes with automatic backup. 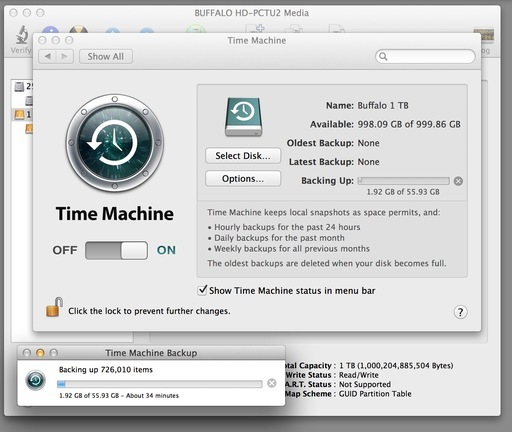 After the initial backup, which will take a while depending on the contents of your laptop, Time Machine only backs up items that change. So it's fairly efficient. You can also use the hard drive for supplement storage of pictures, movies, music, etc. And since they are so light and take up little space, you can even carry two in your backpack. Now you have the speed of an SSD for your everyday work, but additional capacity for backup and work files that you want available, even when on the go.